Item # 306304 Stash Points: 3,495 (?) This is the number of points you get in The Zumiez Stash for purchasing this item. Stash points are redeemable for exclusive rewards only available to Zumiez Stash members. To redeem your points check out the rewards catalog on thestash.zumiez.com. 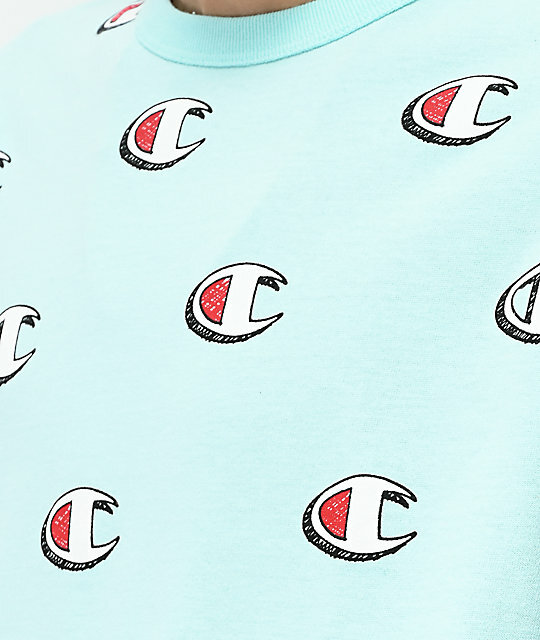 Take your casual style to the next level with the Heritage C Print Mint T-Shirt from Champion. 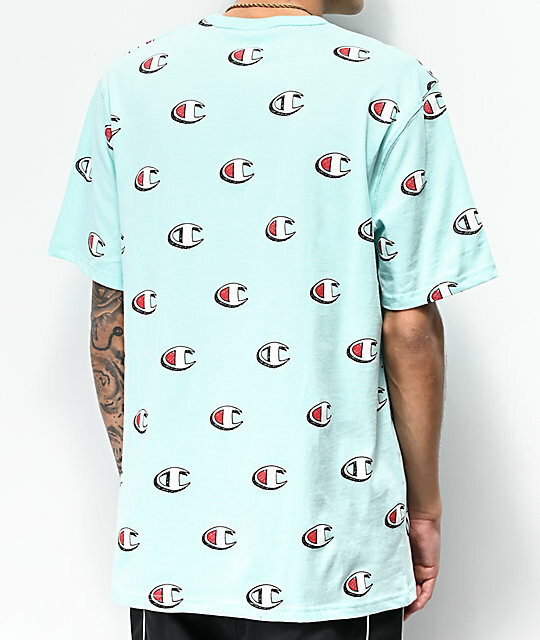 Featured in a mint blue colorway, this short sleeve tee is offered with a Champion "C" print throughout the garment for a bold look. Complete with a pure cotton construction and a crew neck collar, this vibrant t-shirt is the perfect addition to any wardrobe. 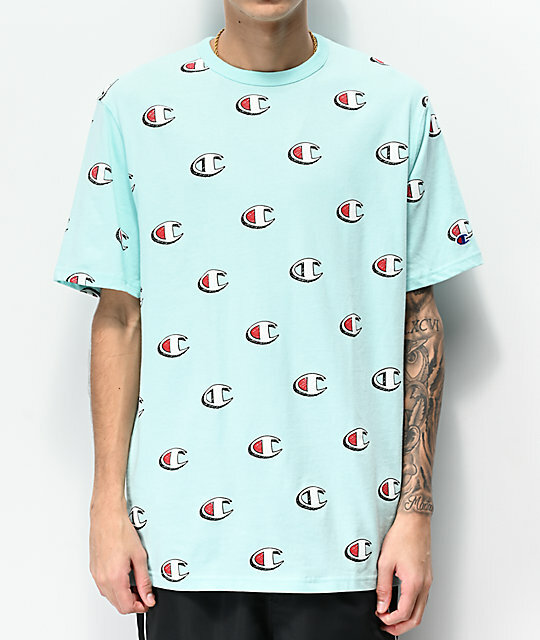 Heritage C Print Mint T-Shirt from Champion. Champion "C" logo print throughout on the chest in black, white and red.